After all the excitement of Easter’s Tall Ship Regatta the town centre suddenly realised that the Marathon was upon us, with excited crowds returning once more. Reports of the professional handling of the Tall Ships event reassured me that cruise passengers were ferried to Woolwich before boarding the Dutch flotilla. Orderly embarkation and excellent hospitality provided guests with an entrancing passage up to Tower Bridge under sail with a following wind and back with a spectacular fireworks display to round off this unique event. Likewise the marathon runners and their supporters thrilled at the Royal Borough’s historic landmarks, the brave new world of Canary Wharf and the massive riverside spectacle from the Tower up the Embankment and down the Mall. Here again the clean-up operations and removal of barricades and signage need to be complimented. No need for the proposed Garden Bridge – let’s put more funds and expertise into our proud and unique waterway which, in itself, provides an essential lung and joy for citizens and visitors alike. The new Thames tunnel, enhancing Bazzelgette’s sewer engineering enterprise, is reliant on barge transport with extra purposeful tugs and plant manned by established watermen and their new apprentices. 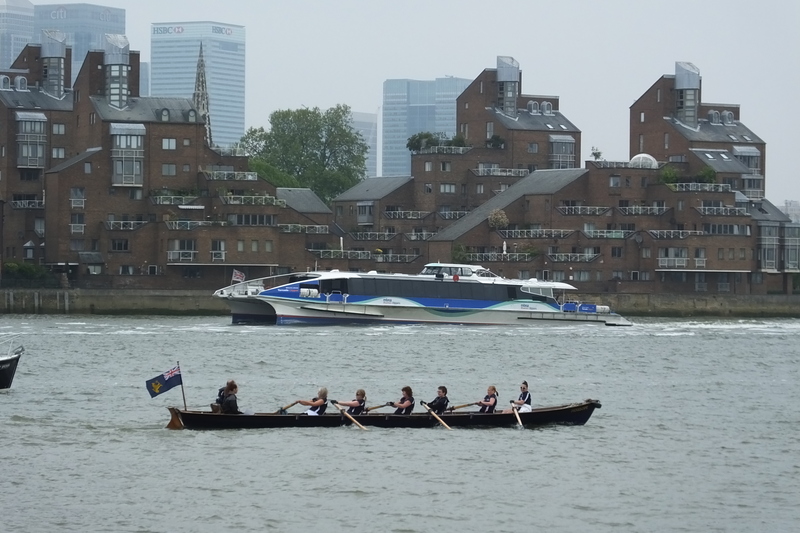 A traditional Waterman’s event is being resuscitated bang next door at theGlobe Rowing Club: The ancient Greenwich Challenge for Thames rowers is being revived by enthusiasts. 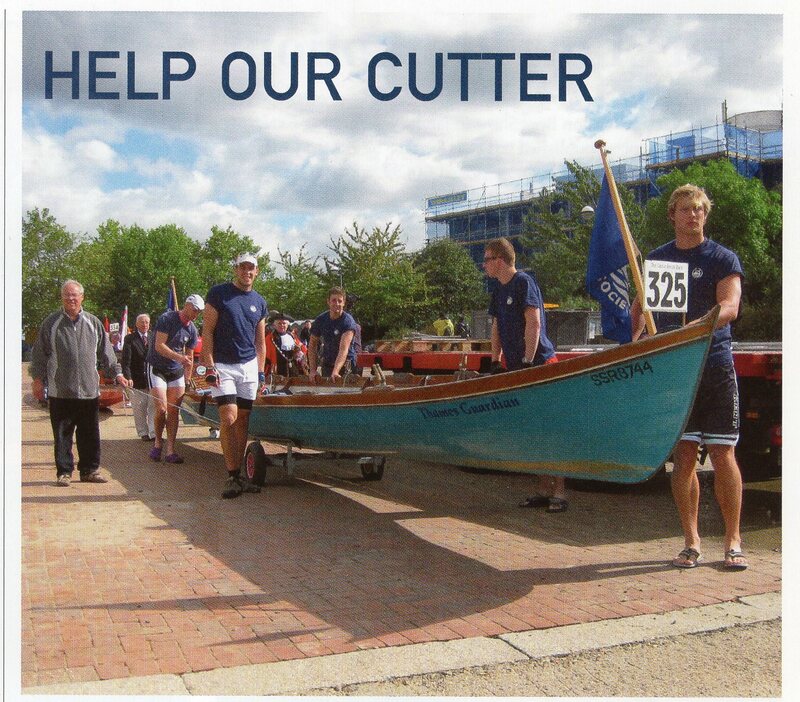 A 2.5-mile course will bring watermen’s cutters back to the tideway. We luckily live in a riverside house which was once a hub of rowing sportsmanship, with rafts of craft for hire used by the watermen of yesteryear. Part sponsorship by my neighbour Frank Dowling is, indeed a renewed sign of confidence. 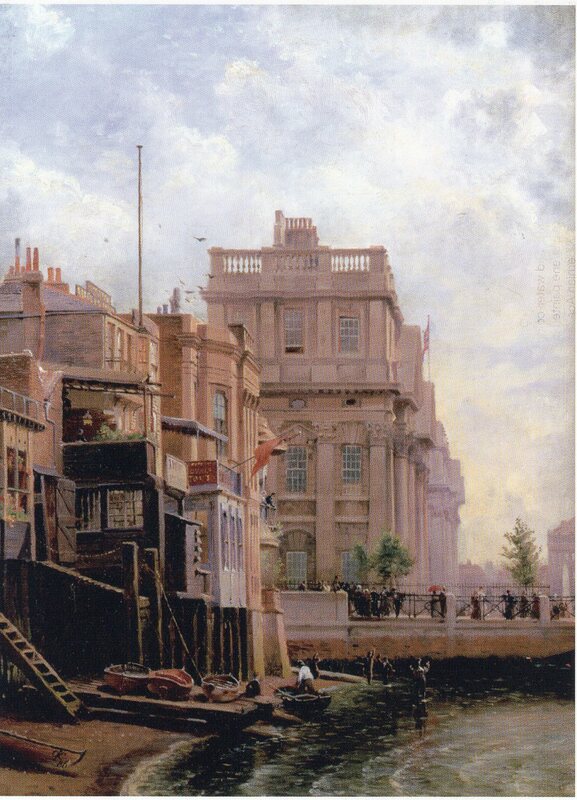 Do go and see the unique collection of riverside art now on display in the historic Trafalgar Tavern – it’s amazing!! 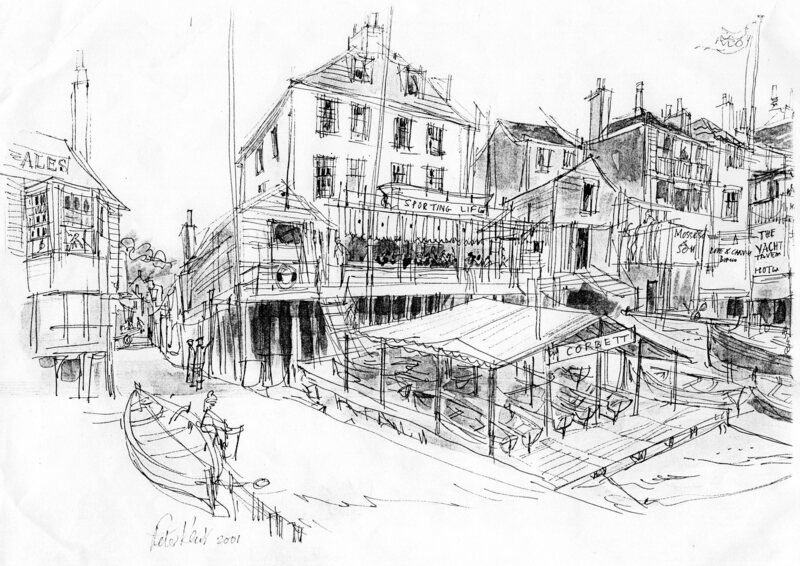 To add to his collection of river events, I have sketched an image to be presented to the winners at the finishing line at Greenwich Yacht Club. The Thames Waterman’s Cutter is a six-oared, fixed seat traditional boat – one of a class originally designed by Mark Edwards who has a boat-building unit at Richmond Bridge. 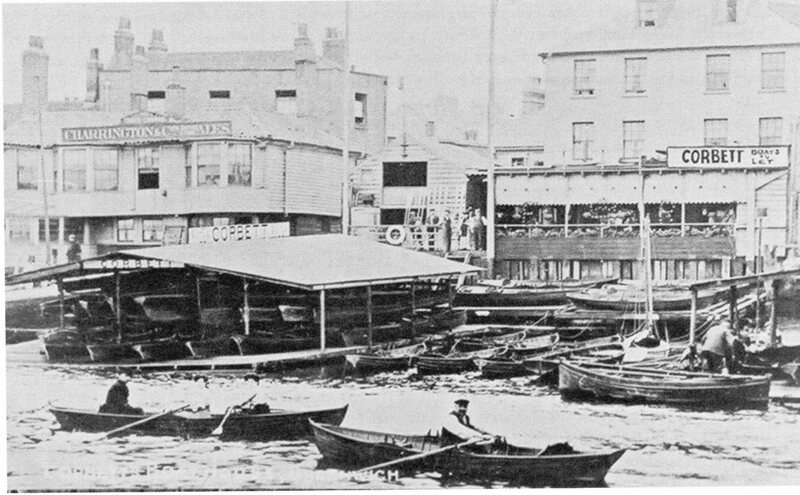 It was designed for use on the Thames especially for competitive rowing such as the Great River Race encouraged by Stuart Wolfe and other worthies. There are now over thirty cutters, many owned by livery companies and sporting organisations such as the Ahoy Centre at Deptford and Greenwich Yacht Club. The fibreglass hull can be fitted out by enthusiasts. As far as I am aware, this is the first all-Greenwich event on the tideway for these craft. My friend Bob Couch – once the Queen’s Waterman – asked me to do a sketch for the traditional award to the winning crews. I asked Stuart what the prognosis is for this year’s great River Race. He reassures me that at least 300 crews and boats will compete – some even from Barbados. He also told me that the Royal Row Barge Gloriana is still looking for an operational base. Why not here in Greenwich as I once suggested? The ‘Cut’ alongside Waitrose will indeed be a historic reminder of Deptford’s historic maritime past. Baron Greenwich – in spite of his retirement plans – could indeed be a patron. Any chance of a date for the Greenwich Challenge?